Trying to make food fun is something we tend to do a lot of at home, not only trying new foods and flavours but also getting Athena involved in the preparation too! 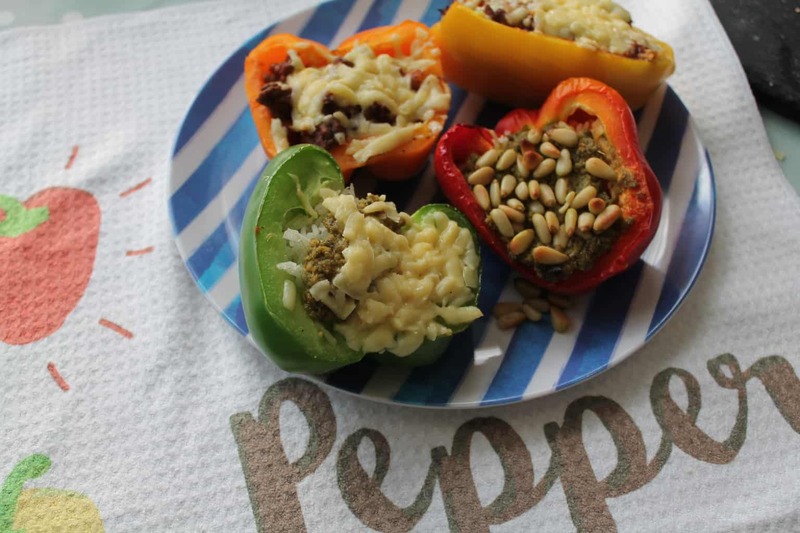 Stuffed peppers or ‘pepper pots’ are a really fun and easy way to prepare a tasty meal that incorporates a lot of different food groups, and textures and flavours! 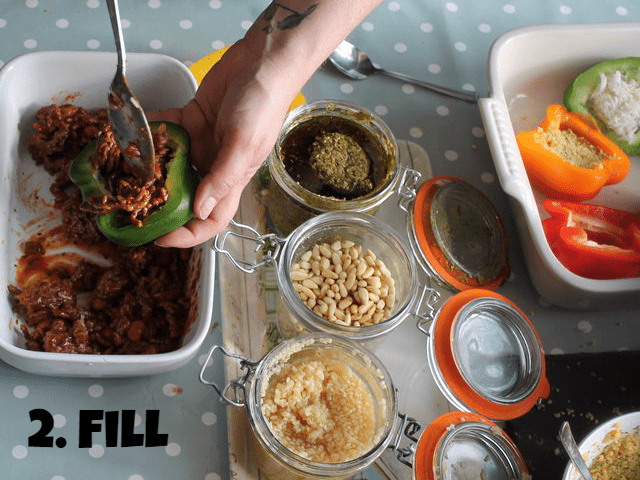 Peppers are already fairly fun because of their bright colours, but instead of just chopping them up to add to fajitas or a salad using them as pots is an alternative way to eat them! Peppers are high in vitamin C (a red pepper has triple the amount of an orange!) and offer antioxidant benefits. 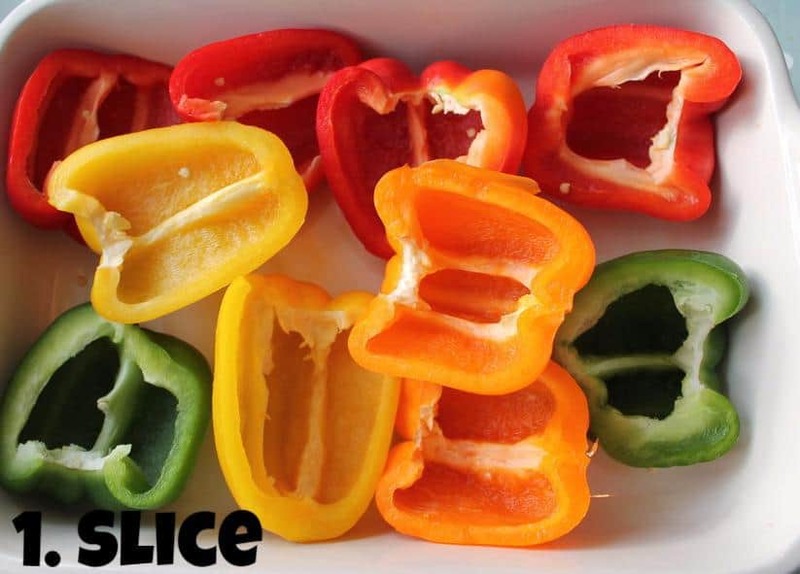 Slice each pepper in half, as evenly as you can from bottom to top. Scrape out the pips and brush with oil. Fill with pretty much anything you like! See my list of ideas below. 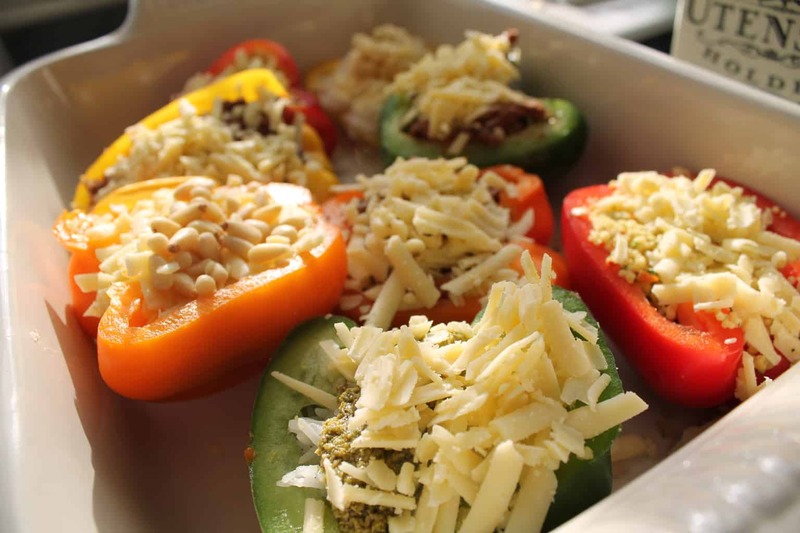 Top with cheese for an extra tasty pepper pot! • Whisked egg with cheese & onion, especially good at breakfast as it’s just like am omelette ! Grated cheese (mozzarella or cheddar work as they melt so well!) Pesto, Salsa, Pine nuts, crushed walnuts and sunflower seeds! 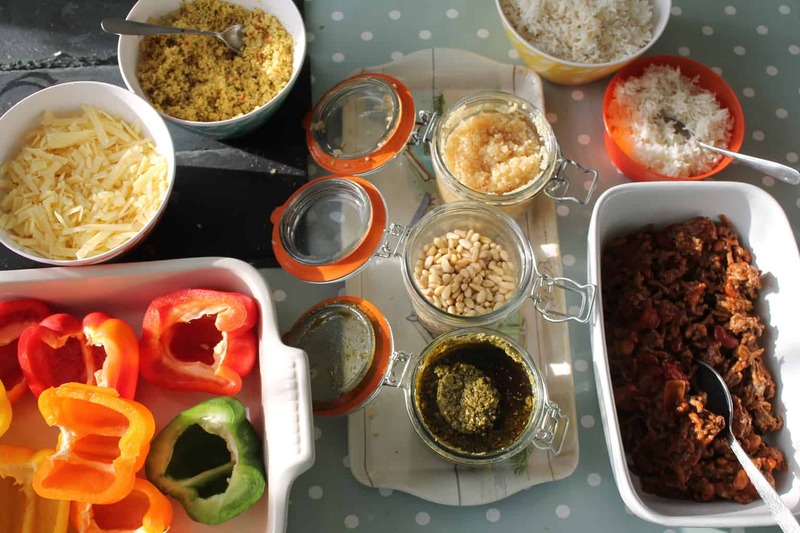 You can even leave your peppers in the slow cooker, prepare before you leave for the day and come back with dinner ready to serve! 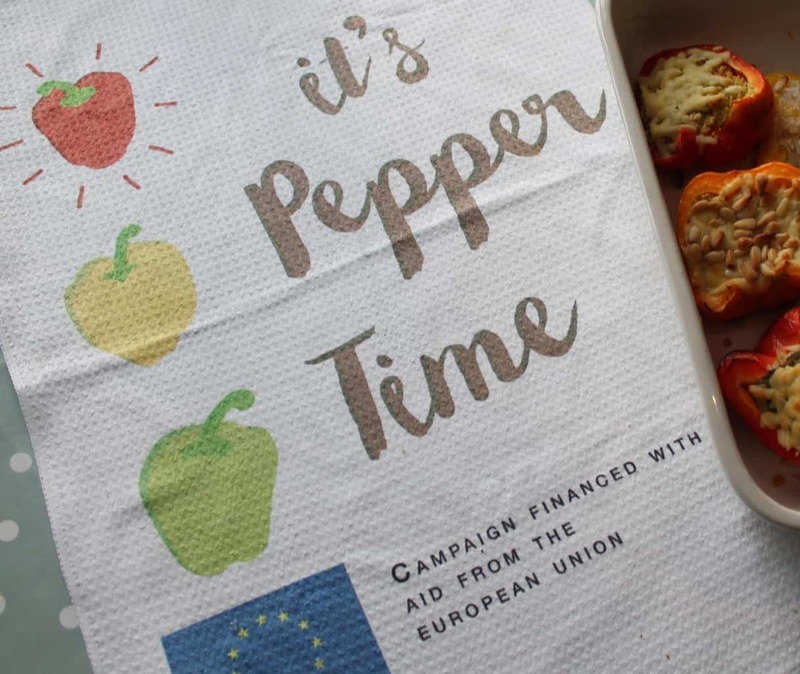 For loads more more recipe inspiration and to find out more about the health benefits check out the It’s Pepper Time website, an EU-funded campaign to help put peppers on the culinary map! I was sent some peppers and ingredients to help put my recipes together, all words and opinions are my own. Hello, Playing with Peppers it seems like. Wow! I would love to. I like to experiment with peppers, but filling them like this never crossed my mind. This is an amazing treat. Pepper pots are all I want to make now. 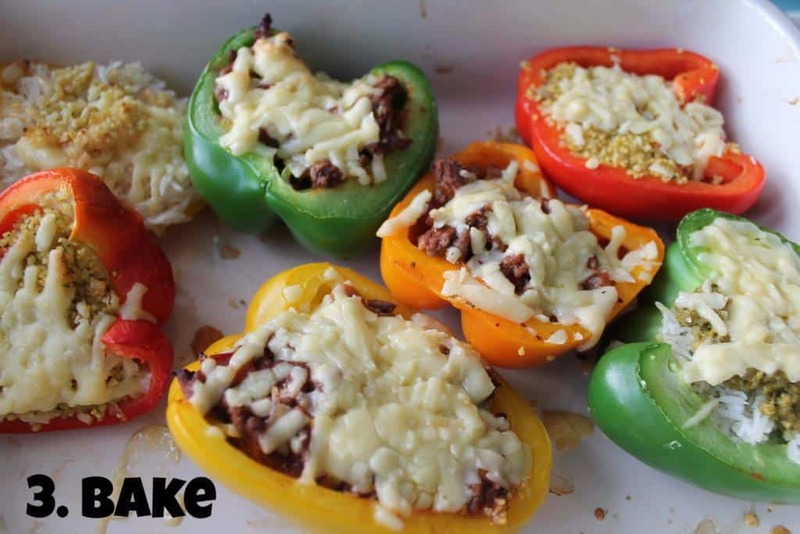 I would love to impress my friends with these colorful stuffed peppers. Thanks for this post.